"In the last 24 months, Kerber is actually 8-8 on clay herself, with less than 100% combined hold/break percentage into the bargain. 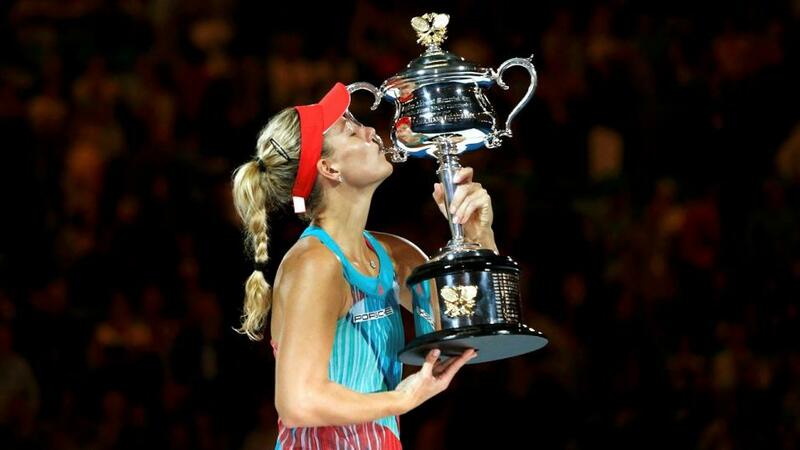 We really have to go back to 2015 to see Kerber's clay data reach an elite level, and while her numbers this year have improved, from a small sample, it's far from a given that she's back to that 2015 level." We picked up another women's winner on day four, with Yulia Putintseva getting the better of Jennifer Brady in straight sets yesterday. After a disappointing start to the men's tournament, our results in the women's event are more pleasing. While the favourites in the men's event scraped through long matches yesterday, there were less issues for the top women's players, with Petra Kvitova, Elina Svitolina, Madison Keys and Caroline Wozniacki all easing to straight-set wins. There were, however, more issues for Simona Halep, with the tournament second favourite being outclassed in the first set by Alison Riske, before thrashing the American in the next two. Halep is back in action today - her match yesterday was delayed - and she looks potentially vulnerable at such a short price. The Romanian is just [1.08] to get past Taylor Townsend, an American player who a lot of people have high hopes for, and against obviously worse opposition on the ITF Tour, Townsend has won 16 of 19 matches on clay in the last 12 months. This is also the case for Garbine Muguruza, who is priced similarly against Fiona Ferro. However, Ferro hasn't exhibited as strong data as Townsend on the lower tier, and while there is going to be a time and place to want to oppose Muguruza in the coming days - her clay stats aren't nearly elite level - today is probably one to keep a watching brief on. However, the one heavy favourite that I do feel is vulnerable and who could face a tough match is Angelique Kerber, who faces Ana Bogdan. The German is [1.18] to take this, against a very competent and improving player in Bogdan, who has won 7 of her 12 main tour matches on clay in the last two years. In the last 24 months, Kerber is actually 8-8 on clay herself, with less than 100% combined hold/break percentage into the bargain. We really have to go back to 2015 to see Kerber's clay data reach an elite level, and while her numbers this year have improved, from a small sample, it's far from a given that she's back to that 2015 level. We can get 5.5 games on the game handicap as a head start for Bogdan, and get [1.96] into the bargain on this line as well, and this looks a pretty solid play to me. In other action, we took advantage of Bernarda Pera's improvement with a win over Elena Vesnina on Tuesday, and the American prospect is quite capable of surprising Daria Gavrilova today, again as a slight underdog. Certainly, she should be more comfortable on clay than her higher-ranked opponent. In addition, if Belinda Bencic can play anywhere near her best level, she will make a mockery of odds of [2.96] about her to beat Magdalena Rybarikova, who has never shown a great deal on clay. Unfortunately Bencic's level, after some long-term injury issues, is far from a given, but this is certainly one to keep an eye on in-play - perhaps if Bencic starts well but hasn't made a breakthrough, there might be an opportunity. We also see British action in the women's singles today with Heather Watson taking on Elise Mertens. The British media went a little overboard on the nature of Watson's win over Oceane Dodin on Tuesday, and perhaps they didn't take into account that Dodin had been injured prior to this tournament. I don't expect Watson to back up that win against one of the most improved players on tour over the last 12 months, and I fully anticipate British hopes in the women's event ending today.